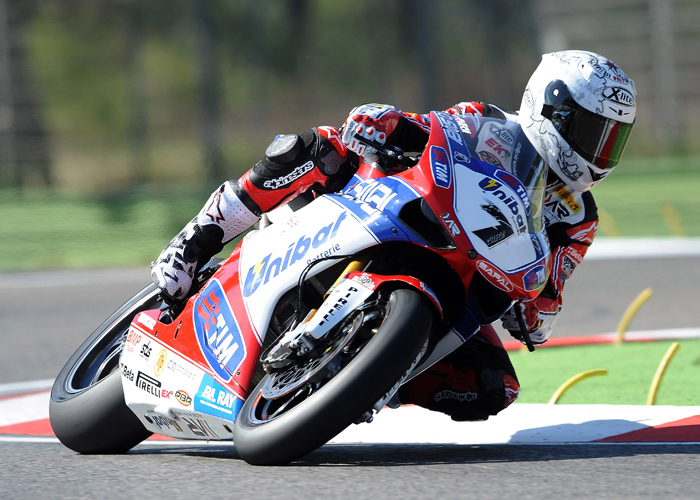 Imola (Italy), Sunday 1 April 2012 – Carlos Checa (Althea Racing Ducati) was a force to be reckoned with once more at Ducati’s home circuit, and he duly posted his desired double in the FIM Superbike World Championship races in front of 81,000 fans at Imola. The final result of his winning labours is that he is now leading the championship, but only just, from Max Biaggi (Aprilia Racing) and double second place finisher Tom Sykes (Kawasaki Racing Team) with the English rider having his best results since his win in Germany last year. 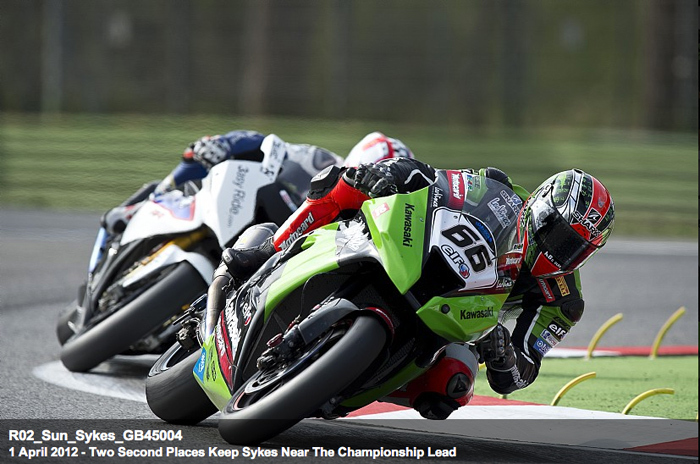 Imola, Saturday March 31st – The best possible starting position was taken by Tom Sykes (Kawasaki Racing Team) for the second round in succession after he set a new track best of 1 minute 46.748 seconds in Superpole 3. 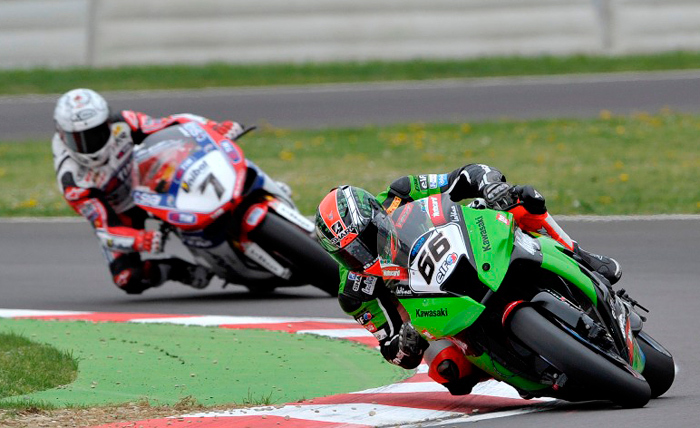 This was Sykes’ fourth career Superpole win and the second at Imola, as he took the pre-race prize on the previous model of Ninja ZX-10R here in 2010. Frenchman Sylvain Guintoli (Team Effenbert Liberty Racing Ducati) was second, after a late charge from Carlos Checa (Althea Racing Ducati) was ultimately unsuccessful. Leon Haslam (BMW Motorrad Motorsport) was fourth and first BMW rider in the final pre-race rankings, while Max Biaggi (Aprilia Racing Team) made it to the head of the second row, fifth overall. Marco Melandri (BMW Motorrad Motorsport) went sixth at his home circuit. Jonathan Rea (Honda World Superbike Team) was seventh but suffered a very fast high-side crash, walking away after a heavy impact on the tarmac. The last place on the second row went to Joan Lascorz (Kawasaki Racing Team). Some big names missed out on the optimum starting spots on the first two rows, as Eugene Laverty (Aprilia Racing) experienced a technical issue in Superpole 2 that held back his final push and went to 11th on the grid, while early fast man Jakub Smrz (Liberty Racing Team Effenbert Ducati) was only one place up on the Irish rider, tenth. Lorenzo Zanetti (PATA Racing Team Ducati) made his team proud with a fine ninth at his home race, while a troubled second superpole session saw Davide Giugliano (Althea Racing Ducati) run off track and then finally crash, finishing 12th on the grid. Leon Camier (Crescent Fixi Suzuki) was top Suzuki rider, 15th. Times: 1. Sykes T. (GBR) Kawasaki ZX-10R 1'46.748; 2. Guintoli S. (FRA) Ducati 1098R 1'47.221; 3. Checa C. (ESP) Ducati 1098R 1'47.423; 4. Haslam L. (GBR) BMW S1000 RR 1'47.458; 5. Biaggi M. (ITA) Aprilia RSV4 Factory 1'47.611; 6. Melandri M. (ITA) BMW S1000 RR 1'47.642; 7. Rea J. (GBR) Honda CBR1000RR 1'47.643; 8. Lascorz J. (ESP) Kawasaki ZX-10R 1'47.740; 9. Zanetti L. (ITA) Ducati 1098R 1'48.108; 10. Smrz J. (CZE) Ducati 1098R 1'48.137; 11. Laverty E. (IRL) Aprilia RSV4 Factory 1'48.299; 12. Giugliano D. (ITA) Ducati 1098R 1'48.650; 13. Berger M. (FRA) Ducati 1098R 1'48.267; 14. Canepa N. (ITA) Ducati 1098R 1'48.382; 15. Camier L. (GBR) Suzuki GSX-R1000 1'48.415; 16. Badovini A. (ITA) BMW S1000 RR 1'48.631; etc. Sam Lowes (Bogdanka PTR Honda) secured pole at Imola after the final session was halted and restarted with just a few minutes left on the clock. Lowes’ time of 1 minute 51.436 seconds is a new track record in the class. As the final chance came for one fast lap Lowes overhauled long time leader on the time sheets Sheridan Morais (Kawasaki DeltaFin Lorenzini). Morais’ team-mate Kenan Sofuoglu pushed himself to third despite recent left knee and right foot injuries. Fourth was class rookie and Imola novice Jules Cluzel (PTR Honda) with Ten Kate Racing Products Honda rider Broc Parkes fifth. Phillip Island podium man Fabien Foret (Kawasaki Intermoto Step) took sixth place. Times: 1. Lowes S. (GBR) Honda CBR600RR 1'51.436; 2. Morais S. (RSA) Kawasaki ZX-6R 1'51.901; 3. Sofuoglu K. (TUR) Kawasaki ZX-6R 1'52.028; 4. Cluzel J. (FRA) Honda CBR600RR 1'52.100; 5. Parkes B. (AUS) Honda CBR600RR 1'52.167; 6. Foret F. (FRA) Kawasaki ZX-6R 1'52.264; 7. Tamburini R. (ITA) Honda CBR600RR 1'52.406; 8. Roccoli M. (ITA) Yamaha YZF R6 1'52.743; etc. 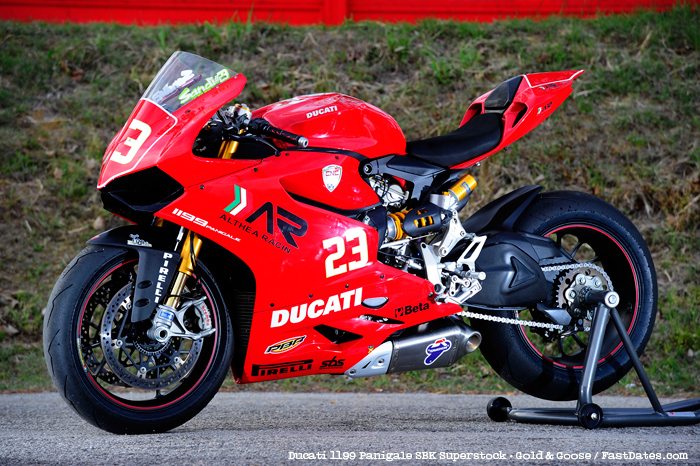 The new Ducati 1199 Panigale draws blood in Superstock at its first ever race! Eddi La Marra (Barni Racing Team Italia) will start from pole in Sunday’s Superstock 1000 race after setting the fastest time in the second qualifying session on the brand-new Ducati 1199 Panigale. Lorenzo Baroni (BMW Motorrad Italia GoldBet STK Team) was originally credited with second but cut the chicane and was docked that lap, promoting Markus Reiterberger (Team alpha Racing BMW) to second, with Baroni now third. The front row line-up has been completed by Baron’s team-mate Sylvain Barrier. The top Kawasaki runner was MRS team rider Loris Baz, fifth. Times: 1. La Marra E. (ITA) Ducati 1199 Panigale 1'50.403; 2. 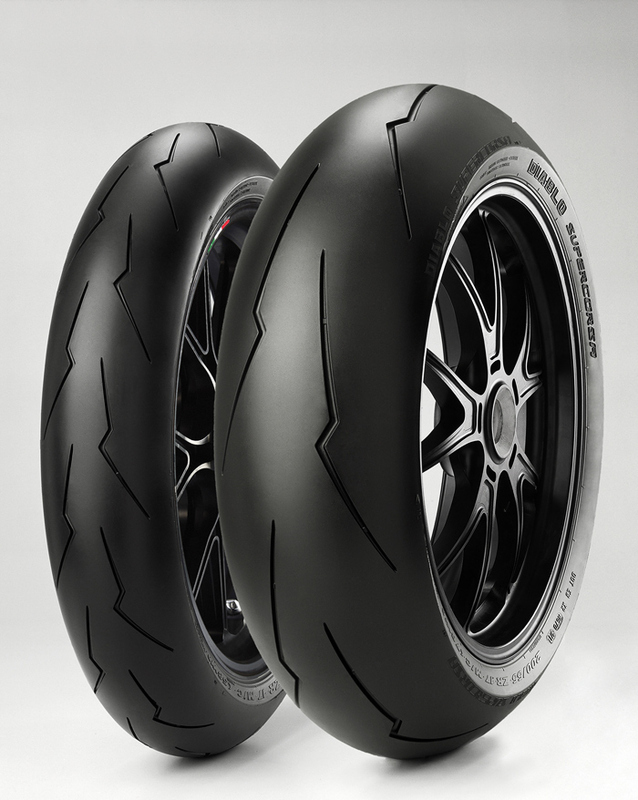 Reiterberger M. (GER) BMW S1000 RR 1'50.734; 3. Baroni L. (ITA) BMW S1000 RR 1'50.743; 4. Barrier S. (FRA) BMW S1000 RR 1'50.819; 5. Baz L. (FRA) Kawasaki ZX-10R 1'51.160; 6. Savadori L. (ITA) Ducati 1199 Panigale 1'51.770; 7. Bussolotti M. (ITA) Ducati 1098R 1'52.056; 8. Massei F. (ITA) Honda CBR1000RR 1'52.459; etc. Riccardo Russo (Team Italia FMI Yamaha) won the Superstock 600 event by a large margin of 2.534 seconds after 11 laps of front running action at Imola. The series regular was unchallenged at the end, with Nacho Calero Perez (Team Trasimeno Yamaha) second and closing but still well down at the flag. A distant third was EAB Ten Kate Junior Team Honda rider Michael van der Mark. As this is the first round the points positions are a mirror image of the race positions, with Russo on 25, Calero Perez on 20 and van der Mark on 16. Fourth spot in race and championship went to wildcard rider, Nicola Jr. Morrentino (Elle 2 Promotion Yamaha). Results: 1. Russo R. (ITA) Yamaha YZF R6 21'04.967; 2. Calero Perez N. (ESP) Yamaha YZF R6 2.534; 3. Van der Mark M. (NED) Honda CBR600RR; 4. Morrentino N. (ITA) Yamaha YZF R6 10.627; 5. Egea S. (FRA) Yamaha YZF R6 11.049; 6. Chesaux B. (SUI) Honda CBR600RR 11.219; 7; Morbidelli F. (ITA) Yamaha YZF R6 19.334; 8. Casalotti S. (ITA) Yamaha YZF R6 20.789; etc. Carlos Checa on the top step with his Althea team owner Bevilacqua, together with Sykes and Haslam. Race Day, Sunday April 1st, 2012 – Carlos Checa (Althea Racing Ducati) was a force to be reckoned with once more at Ducati’s home circuit, and he duly posted his desired double in the FIM Superbike World Championship races in front of 81,000 fans at Imola. The final result of his winning labours is that he is now leading the championship, but only just, from Max Biaggi (Aprilia Racing) and double second place finisher Tom Sykes (Kawasaki Racing Team) with the English rider having his best results since his win in Germany last year. Tom Sykes (56) lead the starts of both races from Pole, with Carlos Checa (7) quickly slipping into second and following for 2/3rds the race, then easily passing for the race win in thr closing laps. Tom Sykes and his Kawasaki Racing Team Ninja ZX-10R once more made great progress in the SBK class, taking two second place finishes at Imola and staying within six points of the championship lead. Having started from pole after blitzing the previous track best in Superpole qualifying Sykes was to leave Imola with the new lap record on raceday as well, a 1’47.552 lap set while trying to keep eventual double race winner Carlos Checa behind him. Tom was not able to perform that feat as 2011 champion Checa turned up the heat but even in the cool conditions on raceday, Tom was able to defend his second place, particularly in race two. Tom has won an SBK race on the Ninja before, last year in Germany, but this can be considered his best weekend so far in many ways, as he took not only two consistent second places in dry conditions, but the best results to date. His total of podiums on the Ninja ZX-10R now is four, three coming in 2012. BMW Motorrad has reached another milestone: Team BMW Motorrad Motorsport celebrates its first double podium in the FIM Superbike World Championship. At the second round of the 2012 season at Imola (ITA), factory rider Leon Haslam (GBR) proved that his injured right leg is nearly not affecting him anymore on his BMW S 1000 RR. He finished third in both races and thus collected 32 points on this race Sunday, more than any other BMW rider before. His team mate Marco Melandri (ITA) was sixth and tenth respectively. 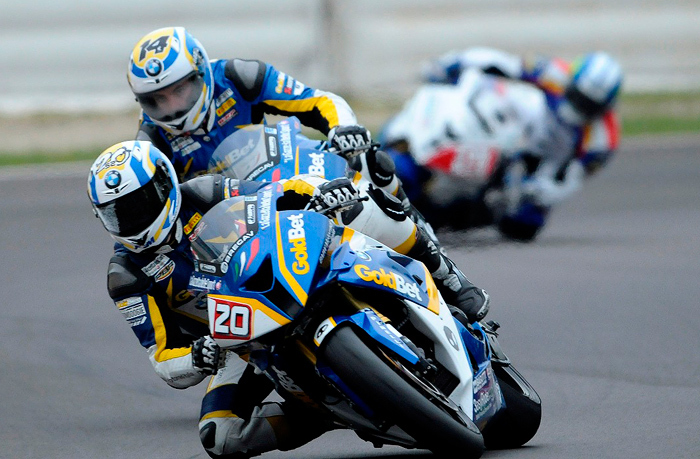 Overall, Team BMW Motorrad Motorsport collected 48 points this weekend, more than ever before. Max Biaggi missed the podium twice today, and his Championship points lead after Phillip Island, by narrow margins on each occasion. In each 21-lap race he had to give best to the impressive Leon Haslam (BMW Motorrad Motorsport) who is still riding with screws in his foot after his big crash in Australia in late February. This was Haslam’s personal best weekend for BMW as well, on a day of significant happenings for riders, teams and manufacturers. Biaggi come up against a few difficulties, starting from the Superpole yesterday, the Corsair gave it his all, managing not to lose sight of the front runners. Especially in the second race, after gathering important information during Race 1, Max and his team were able to close the gap with the leading riders, just barely missing the bottom step of the podium. Two fourth places are good spoils to take home from a championship point of view in the second race of the season on an historically difficult track. “We couldn't have done any better than we did today – concluded Max – and the maths show it! Two identical placings, just off the podium, that I can say I'm fairly satisfied with. My only regret is for Race 2 because my team and I were able to make some improvements compared to the first, but unfortunately not enough to stay in the top three. We knew it would be difficult for us here and the low temperature didn't help. Now we're concentrating on Assen and how to react in order to make trouble for the leaders”. In race two there were five different manufacturers in the top five places, and all six were represented in the top eight positions, which once again proves how close and exciting SBK racing is in its 25th anniversary year. With the top three riders now covered by only six points, the next round at Assen is eagerly anticipated. The teams will remain in Imola for an official test on Monday 2 April. Carlos made a very quick start and was immediately up in second position, behind Sykes who seemed to have an even stronger pace than the Spaniard. The Althea rider did all he could to stick with the Kawasaki and when he saw that the Englishman was suffering a little through certain sections of the track, he took the tactical decision to pass and break away. On lap eleven Carlos took the lead and from that point he slowly built up an advantage, crossing the finish line in first position with a 3.2 second advantage over Sykes, second. Carlos recorded the fastest lap of the race; the 1m47.877 assured him of the Pirelli ‘best lap’ award. Sykes had his best ever dry-race performance on the Kawasaki in second place, with Haslam and Biaggi disputing the final podium place. It went to Leon Haslam, by a second from his Italian rival. Tom Sykes turned his Pole position into big race leads at the start of both Race One and Race Two ahead of Biaggi, Checa and Haslem - seen behind in the distance. But Checa would quickly reel him him in both races and pass for the lead at mid race. Tom Sykes: “The plan was to get a good start in race one and we had a very clean launch in the Kawasaki. In the first nine laps or so it was just Carlos and I and saw there was a big gap behind us. Carlos rode a great race, hats off to him, and he knew exactly what he was doing. Starting fourth on the grid, Leon Haslam slipped his BMW back two positions in the early stages of race one. He was soon back in fourth and began to chase third placed Max Biaggi (ITA). Halfway through the race he had closed the gap to the Italian and the two started to fight an exciting battle for the podium. With five laps to go, Leon passed Biaggi and he defended this third place to the finish line. Marco started sixth, but at the end of lap two, he had an issue while shifting down and was forced to ride straight into the pit lane entrance. He rejoined the race in 16th position and started an impressive catch-up, regaining ten positions and he finished sixth. Fifth was Eugene Laverty (Aprilia Racing) but just behind him Melandri and Joan Lascorz (Kawasaki Racing Team) finally passed long-time fifth place runner, Lorenzo Zanetti (Pata Racing Team Ducati). Zanetti was a still-impressive eighth. Race One Results: 1. Checa C. (ESP) Ducati 1098R 38'06.264; 2. Sykes T. (GBR) Kawasaki ZX-10R 3.206; 3. Haslam L. (GBR) BMW S1000 RR 5.593; 4. Biaggi M. (ITA) Aprilia RSV4 Factory 6.519; 5. Laverty E. (IRL) Aprilia RSV4 Factory 24.662; 6. Melandri M. (ITA) BMW S1000 RR 27.261; 7. Lascorz J. (ESP) Kawasaki ZX-10R 27.384; 8. Zanetti L. (ITA) Ducati 1098R 28.299; 9. Rea J. (GBR) Honda CBR1000RR 34.067; 10. Canepa N. (ITA) Ducati 1098R 35.724; 11. Smrz J. (CZE) Ducati 1098R 36.738; 12. Berger M. (FRA) Ducati 1098R 37.257; 13. Hopkins J. (USA) Suzuki GSX-R1000 50.418; 14. Mercado L. (ARG) Kawasaki ZX-10R 53.623; 15. Badovini A. (ITA) BMW S1000 RR 53.942; 16. McCormick B. (CAN) Ducati 1098R 54.139; etc. Sykes (66) fights to hold off Haslam on the BMW. Checa played a strong second card at Imola to take his first double win of 2012, 1.9 seconds ahead of Sykes and the hard-charging Haslam. The second race got off to a similar start for Carlos, who was second, behind Sykes once again, at the end of the opening lap. On lap seven he battled with Biaggi and then a few laps later with Haslam. On lap 14, having closed the gap between himself and raceleader Sykes, Checa got past the Englishman and took control of the race. His strong pace allowed him to break away from the chasing pack and take the second race win of the day. Checa won with a 1.9 second advantage over Sykes in second; Haslam once again closed in third place. With today’s victories, Carlos becomes the rider to have won more races than any other at the Imola track – he has celebrated on the top step of the podium five times at this circuit. Leon Haslem overtook Biaggi for third on lap 13 and then battled for the rest of the race with Tom Sykes (GBR) for second, holding off some late attacks from Biaggi. Haslam's BMW teammate Marco Melandri was lying in fifth for a long time in the second race, but due to some chattering issues he dropped back to tenth. Thanks to a strong start, Checa's new teammat Davide Giugliano was up in eighth by the end of lap one and chasing down Melandri, immediately ahead of him. The Italian pair fought it out for a few laps, before both passed Laverty. 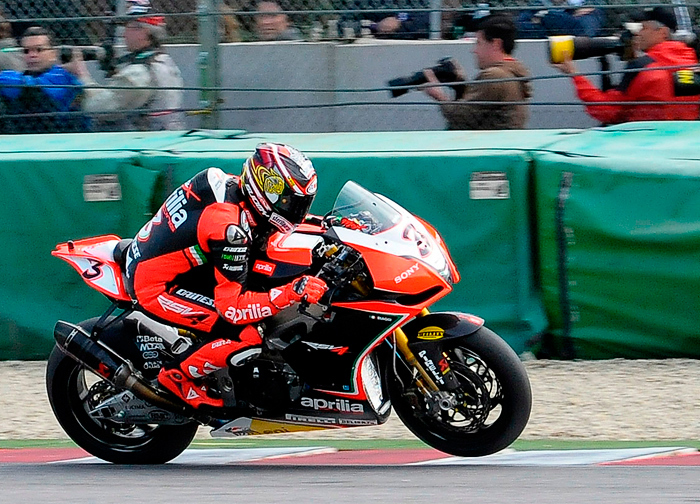 On lap fourteen Giugliano was able to pass Melandri, positioning himself fifth where he remained until the final lap. Unfortunately it seems that in the final seconds of the race he ran out of fuel, and was thus unable to cross the line. The situation is under investigation by the team. “It has been a good weekend," said Haslam afterwards, "We had a good first race and managed to get a podium position which was my first in Imola. I made a mistake in the beginning and third was the best result we could get. In 2010, Max beat me in the world championship here in Imola, so it was nice to win that fight for the podium. In race two I got a better start, but the top three got away again. I managed to catch up and I really did feel that I could beat Tom, but in the end I made a few mistakes again. Every time I pushed, I got a little bit of chatter and lost my line. 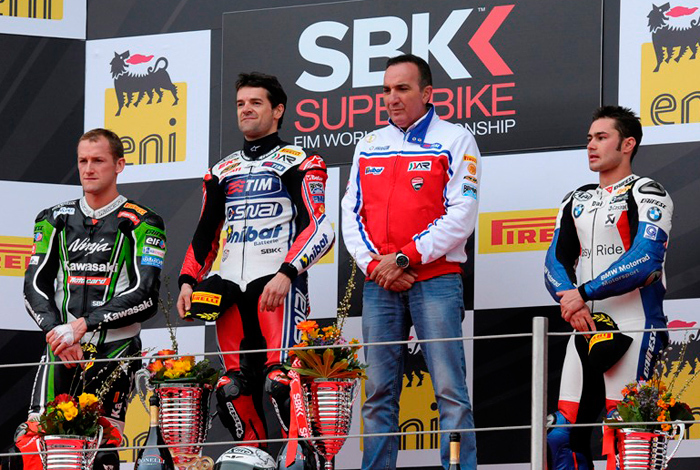 Biaggi was fourth again, making the quartet of top finishers the same as in race one. Fifth this time around was Jonathan Rea (Honda World Superbike Team) who did well to survive a trip across the gravel after tangling with sixth placed Laverty. Rea was fighting against muscle fatigue and bruising, which resulted from his big highside crash in practice. Jakub Smrz (Liberty Racing Team Effenbert) was a very close seventh. Leon Camier (Crescent Fixi Suzuki) rode to eighth place, the best finish for a Suzuki rider so far this season. Thanks to the 50 points earned today, Carlos has projected himself to the top of the rider standings with 75 points to Biaggi’s 71 and Sykes’ 69. 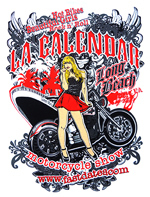 Giugliano is seventeenth with 10 points. Ducati leads the manufacturer’s standings with 91 points to the 71 held by Aprilia, in second. Race Two Results: 1. Checa C. (ESP) Ducati 1098R 37'57.571; 2. Sykes T. (GBR) Kawasaki ZX-10R 1.935; 3. Haslam L. (GBR) BMW S1000 RR 2.969; 4. Biaggi M. (ITA) Aprilia RSV4 Factory 3.346; 5. Rea J. (GBR) Honda CBR1000RR 18.925; 6. Laverty E. (IRL) Aprilia RSV4 Factory 21.180; 7. Smrz J. (CZE) Ducati 1098R 21.392; 8. Camier L. (GBR) Suzuki GSX-R1000 23.797; 9. Lascorz J. (ESP) Kawasaki ZX-10R 24.219; 10. Melandri M. (ITA) BMW S1000 RR 25.599; 11. Guintoli S. (FRA) Ducati 1098R 25.776; 12. Berger M. (FRA) Ducati 1098R 26.004; 13. Zanetti L. (ITA) Ducati 1098R 31.172; 14. Davies C. (GBR) Aprilia RSV4 Factory 33.837; 15. Badovini A. (ITA) BMW S1000 RR 45.541; 16. McCormick B. (CAN) Ducati 1098R 50.807; etc. Points (after 2 of 14 rounds): 1. Checa 75; 2. Biaggi 71; 3. Sykes 69; 4. Haslam 47; 5. Melandri 46; 6. Rea 40; 7. Smrz 30; 8. Laverty 29; 9. Guintoli 21; 10. Berger; etc. Manufacturers: 1. Ducati 91; 2. Aprilia 71; 3. Kawasaki 69; 4. BMW 63; 5. Honda 40; 6. Suzuki 15. Fabien Foret (Kawasaki Intermoto Step) took a cool and professional win after 19 laps of competition, his first of the year, and the first for his team in 2012. Sam Lowes (Bogdanka PTR Honda) went a close second and after many issues for some front-runners, Ronan Quarmby (PTR Honda) was third, albeit 17 seconds from the winner. Roberto Tamburini (Team Lorini Honda) finished fourth – by only 0.004 seconds – and the Power Team by Suriano Triumph of Vittorio Iannuzzo was fifth. In the championship, Foret has 45 points, Lowes 31 and Kenan Sofuoglu (Kawasaki DeltaFin Lorenzini) in on 25 alongside Quarmby, after the Turkish rider was black-flagged for not taking a ride through penalty. Results: 1. Foret F. (FRA) Kawasaki ZX-6R 35'44.653; 2. Lowes S. (GBR) Honda CBR600RR 0.574; 3. Quarmby R. (RSA) Honda CBR600RR 17.266; 4. Tamburini R. (ITA) Honda CBR600RR 17.270; 5. Iannuzzo V. (ITA) Triumph Daytona 675 22.953; 6. Leonov V. (RUS) Yamaha YZF R6 25.509; 7. Nemeth B. (HUN) Honda CBR600RR 30.042; 8. Antonelli A. (ITA) Honda CBR600RR 32.429; etc. Points (after 2 of 13 rounds): 1. Foret 45; 2. Lowes 31; 3. Sofuoglu 25; 4. Quarmby 25; 5. Iannuzzo 18; 6. Parkes 16; etc. Manufacturers: 1. Kawasaki 50; 2. Honda 36; 3. Triumph 19; 4. Yamaha 15. After the first attempt at the race was stopped when a crashed machine blocked the circuit, a final five lap sprint determined the winner overall and Sylvain Barrier (BMW Motorrad Italia GoldBet) headed off his countryman Loris Baz (MRS Kawasaki) in a thrilling short race. 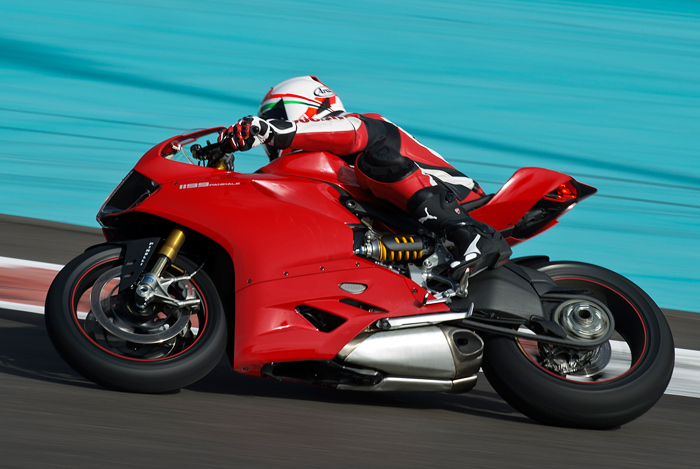 The new Ducati Panigale 1199 placed third in its debut weekend, thanks to Eddi La Marra (Barni Racing Team Italia). Markus Reiterberger (alpha Racing BMW) was fourth, only 1.240 seconds from the win. In fifth, Pedercini Kawasaki rider Bryan Staring was well clear of sixth place man, Fabio Massei (EAB Ten Kate Junior Team Honda). Lorenzo Baroni (BMW Motorrad Italia GoldBet) had to take a ride-through after cutting a chicane in the interrupted first race. Results: 1. Barrier S. (FRA) BMW S1000 RR 9'25.462; 2. Baz L. (FRA) Kawasaki ZX-10R 0.700; 3. La Marra E. (ITA) Ducati 1199 Panigale 1.098; 4. Reiterberger M. (GER) BMW S1000 RR 1.240; 5. Staring B. (AUS) Kawasaki ZX-10R 5.638; 6. Massei F. (ITA) Honda CBR1000RR 11.703; 7. Coghlan K. (GBR) Ducati 1199 Panigale 13.079; 8. Savadori L. (ITA) Ducati 1199 Panigale 13.210; etc. Points (after 1 of 10 rounds): 1. Barrier 25; 2. Baz 20; 3. La Marra 16; 4. Reiterberger 13; 5. Staring 11; 6. Massei 10; etc. Manufacturers: 1. BMW 25; 2. Kawasaki 20; 3. Ducati 16; 4. Honda 10; 5. Aprilia 5. Imola (Italy), Monday 2 April 2012 - Tom Sykes (Kawasaki Racing Team) set quickest time in the official one-day Superbike test session at Imola, the day after the World Championship round dominated by Carlos Checa (Ducati Althea Racing). The day was marred by a serious crash for his Spanish team-mate Joan Lascorz, in the section between the Tosa curve and Piratella. The 27 year-old from Barcelona was immediately given circuit medical assistance and then taken by helicopter to Bologna hospital with a probable fractured vertebra. Testing new Pirelli evolution tyres Sykes lapped in 1 minute 46.609 seconds, the new outright best lap for the Imola circuit. The 27 year-old Brit improved on both the Superpole time that he had set Saturday as well as his personal best in the race. There was good news for the Honda World Superbike Team, which after a tough weekend, placed Jonathan Rea in second position with a time of 1'47”121. British riders also claimed the next two slots, with Crescent Fixi Suzuki man Leon Camier in third with a 1'47”238, and Leon Haslam (BMW Motorrad) in fourth, one day after scoring a double podium. Max Biaggi was fifth on the Aprilia RSV4 ahead of the Ducati Althea Racing of Carlos Checa. Times: 1. Sykes T. (GBR) Kawasaki ZX-10R 1'46.609; 2. Rea J. (GBR) Honda CBR1000RR 1'47.121; 3. Camier L. (GBR) Suzuki GSX-R1000 1'47.238; 4. Haslam L. (GBR) BMW S1000 RR 1'47.257; 5. Biaggi M. (ITA) Aprilia RSV4 Factory 1'47.351; 6. Checa C. (ESP) Ducati 1098R 1'47.430; 7. Melandri M. (ITA) BMW S1000 RR 1'47.779; 8. Laverty E. (IRL) Aprilia RSV4 Factory 1'47.848; 9. Canepa N. (ITA) Ducati 1098R 1'47.989; 10. Giugliano D. (ITA) Ducati 1098R 1'48.011; 11. Salom D. (ESP) Kawasaki ZX-10R 1'48.066; 12. Badovini A. (ITA) BMW S1000 RR 1'48.149; 13. Lascorz J. (ESP) Kawasaki ZX-10R 1'48.197; 14. Fabrizio M. (ITA) BMW S1000 RR 1'48.273; 15. Aoyama H. (JPN) Honda CBR1000RR 1'48.484; 16. Aitchison M. (AUS) BMW S1000 RR 1'48.915; 17. Mercado L. (ARG) Kawasaki ZX-10R 1'49.805; 18. Davies C. (GBR) Aprilia RSV4 Factory 1'50.124; 19. Hopkins J. (USA) Suzuki GSX-R1000 1'50.378. Broc Parkes (Honda Ten Kate Racing Products) went quickest in World Supersport testing, ending up with a new Imola best lap of 1 minute 51.102 seconds. The Australian was able to make up for the disappointment he suffered during yesterday’s race when he had to come into the pits to change his rear tyre. Moving up to second quickest was Frenchman Jules Cluzel (PTR Honda) with a time of 1'51”431, ahead of Sam Lowes (Bogdanka PTR Honda), who finished runner-up in Sunday’s race. Race winner Fabien Foret did not take part in the test on his Kawasaki Intermoto Step machine. Times: 1. Parkes B. (AUS) Honda CBR600RR 1'51.102; 2. Cluzel J. (FRA) Honda CBR600RR 1'51.431; 3. Lowes S. (GBR) Honda CBR600RR 1'51.848; 4. Antonelli A. (ITA) Honda CBR600RR 1'53.081; 5. Roccoli M. (ITA) Yamaha YZF R6 1'53.230; 6. Toth I. (HUN) Honda CBR600RR 1'53.240; 7. Quarmby R. (RSA) Honda CBR600RR 1'53.358; 8. Day J. (USA) Kawasaki ZX-6R 1'53.443; 9. Scholtz M. (RSA) Honda CBR600RR 1'53.56; 10. Jessopp M. (GBR) Honda CBR600RR 1'54.142; 11. Caiani T. (SUI) Honda CBR600RR 1'57.609; 12. Pasek A. (POL) Honda CBR600RR 1'57.918. The 31-year-old from Kendal will be in action in the opening round of the MotoGP World Championship in Qatar where he will race the PBM UK Aprilia ART as part of the Claiming Rules Team (CRT) category. Ellison, a former World Endurance champion and double European Superstock champion, has spent much of the winter helping the Penrith-based squad develop the bike which is the start of a long-term MotoGP project and will see an all-British bike and team set to take on the world in future years. However, in the meantime, they go into Sunday's race under the floodlights at the Losail track with work very much in progress and looking to match the pace of the leading CRT bikes at the opening round of the 18-race championship. In addition to the team's MotoGP commitments in 2012, PBM UK are fielding former MotoGP racer Shane 'Shakey' Byrne and 125cc GP wild card Stuart Easton as part of the Rapid Solicitors Kawasaki British Superbike Championship Team and reigning Metzeler National Superstock 600 champion, Keith Farmer on a Rapid Solicitors Kawasaki ZX-10R in the Metzeler National Superstock 1000 championship this season. James Ellison: "I'm really excited to be back in Qatar as I love the circuit and it's even more special that I'm here to be part of MotoGP. Being honest I never thought it possible to get a second chance so of course I am extremely grateful to Paul Bird and the whole PBM UK team for this opportunity and I can promise that I will give no less than 100% in every session and hope that I can repay them in some way. It will be a tough battle for sure with the relative lack of time we've had on the bike to date but we are a strong team and I'm sure we'll fight hard to make up for lost time. One request though: dim the lights please!" Paul Bird: "This is an historic time for us as we embark upon the latest phase of the team's development in MotoGP and one which we are very excited about. We have raced as wild cards in GPs on many occasions in the past but to be part of the MotoGP elite is very special for us. This year is all about learning for us and James has done a great job with the team so far, but we know we have a very long way to go yet. The idea is to become more competitive as the season progresses and to challenge the front-running CRT bikes." More information including bike, team and rider profiles, race calendar etc can be found at www.pbmuk.net. 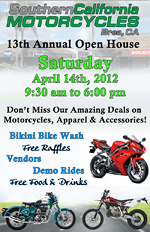 The official website of the 2012 MotoGP World Championship is at www.motgp.com. A change in the backroom structure of the full factory supported Kawasaki Racing Team in 2012 means that not only will there be much more direct control from KHI in Japan, but the team’s European base also moves to Spain. 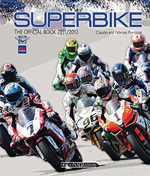 The team riders in World Superbike are England's Tom Sykes and Spain's Jason Lascorz. Logistical and race workshop operations are now run by a company called Provec, which is based in Barcelona. 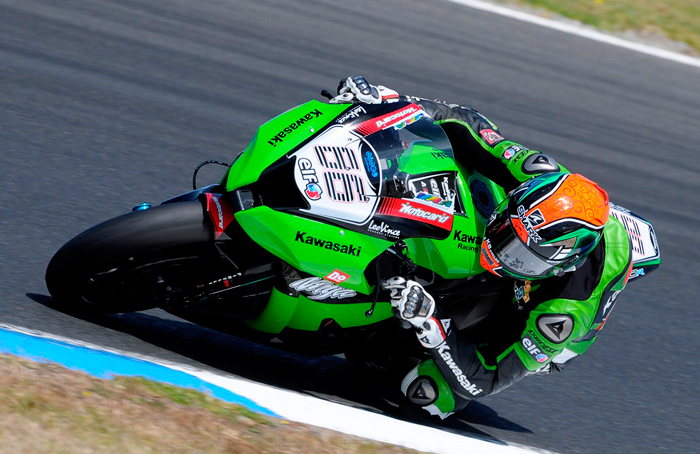 They have made the step-up from being front-runners in the WSS Championship for the past few years (most recently as the official Kawasaki team) to The Superbike FIM World Championship in 2012. The Provec Racing Team has proven to be an outfit capable of challenging for the championship from its first appearances in Kawasaki green. 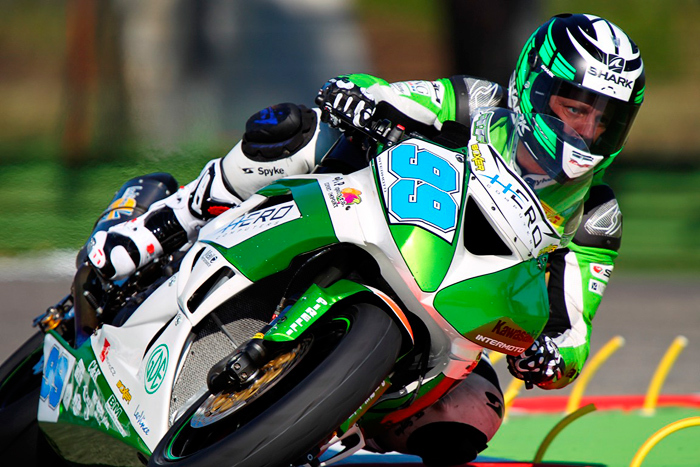 In 2009 Joan Lascorz took the Kawasaki Ninja ZX-6R to overall 4th position in the Supersport FIM World Championship and in 2010 only an injury prevented Joan from challenging for the title itself all the way to the final round. Last year Broc Parkes took a WSS race win for the Spanish squad and his team-mate David Salom finished second in the championship. Many experienced members of the 2011 KRT Superbike squad also joined with technical and management staff from Japan over the winter to ensure that the whole new-look KRT unit will arrive in Australia as a well-oiled operation, ready to take another step up through the 2012 season. One of a vast army of talented British riders to come into SBK racing in recent years, Tom Sykes and Kawasaki have joined the winning party in SBK already. As Tom enters his third straight season as a Kawasaki rider, and his second on the very latest Ninja ZX-10R, he does so in a new team set-up compared to previous years, with more direct factory control in evidence. Tom Sykes (26) has made a real impact on WSBK racing since his first wildcard rides in 2008, when he took a second place finish against the more established riders on home soil. He has not always been a four-stroke star, having preferred the feel of two-stroke real racing bikes in his early career. Racing his grandfather’s 600 Kawasaki roadbike for a short time in the UK, just to understand how a four-stroke machine worked around a circuit, Sykes soon moved into the British Supersport Championship proper. He enjoyed almost instant success and was runner up in the 2006 season. Paul Bird Motorsport picked up Tom for a season of BSB racing in 2007, and five podium places contributed to a fine top six ranking, in arguably the toughest domestic championship there is. A year later and after posting race wins in the UK series for another team, and taking a podium in the British round of the World Superbike Championship, Tom was in a strong position to be signed for WSB full time in 2009. A tough first year, marred by injury towards the end, was not in Tom’s pre-season script, but he did impress on occasion, and finished ahead of many bigger WSB names. Last year it took some time for Tom and his team to get the very best out of the previous Kawasaki Ninja ZX-10R, but after a victorious return to BSB racing for a one-off meeting at Brands Hatch the final few races brought strong double-digit points scores, and almost saw Tom back on the podium again. For 2011 Sykes was retained to help develop and race the all-new Ninja ZX-10R, tasks which brought rewards as the bike was a force at a variety of different circuits, almost from the start of the year, and Sykes put in some dazzling qualifying performances that included a Superpole win and then a race victory in the wet at the German round. For 2012 expectation has only increased as Tom goes for more race wins and podium appearances.